Cloud-Based ERP Is the Future: Are You Ready? Successful shop owners know that efficient processes and streamlined operations are the keys to consistent growth and profitability. Many shops use enterprise resource planning (ERP) software to drive that efficiency. ERP software helps you gain visibility and control over nearly every shop function, including quoting, purchasing, scheduling, data collection, quality assurance, and more. ERP software has traditionally been offered as a local, on-premise system. You purchase the software and licenses and then install it on your in-house servers. The software is maintained in your facility, and you buy upgrades and additional licenses as needed. There’s been an evolution in the ERP industry, though. Many ERP companies are now offering ERP as a cloud-based solution. The software is hosted on the vendor’s servers, and you access it through an internet connection. Are you considering ERP software? Alternatively, are you considering a transition from in-house ERP to a cloud-based solution? While on-premise ERP systems still have value, the future of ERP lie in the cloud. Below are a few reasons why you may want to look at the cloud for your ERP solution. The whole point of using ERP is to drive efficiency, boost productivity, and reduce costs. Cloud-based ERP helps you save from the beginning. On-premise ERP and cloud-based solutions are usually priced differently. On-premise solutions have sizable upfront costs to purchase licenses and invest in servers and other hardware. Cloud-based ERP is hosted with the vendor, so you simply pay a monthly fee for access to the system. Additionally, most cloud-based systems come with maintenance and support included in the price. That is not often the case with on-premise ERP, in which case maintenance, support, and issue resolution could cost extra. Cloud-based ERP offers reduced upfront investment and limited ongoing costs for maintenance and support. That boosts your profitability and frees up cash flow for you to allocate to more important priorities. Ever need to check on a project while you are away from the shop? Do you have employees who may need to pull up estimates or scheduling information while they are visiting a customer’s facility? One of the limitations of on-premise ERP is that you can only access it in your shop or use a remote desktop application. That limitation does not exist with cloud-based solutions. It is accessible anywhere you and your employees have an internet connection. You get full transparency and visibility into your shop from nearly everywhere in the world. You have valuable information about products, prices, finances, your customers, and more that you cannot risk losing in a security breach. You might assume that an on-premise ERP system offers more security because it is hosted in your facility. That assumption usually isn’t correct, however. Cloud-based ERP systems are constantly updated with the latest security features. 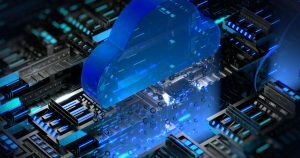 In fact, most cloud-based solutions have a level of security that could never be achieved in a locally-hosted platform. The cloud is the future for ERP software, and Shoptech’s E2 Shop System is leading the way. Contact Us today to learn how the E2 Shop System can benefit your shop.